Lo scatto é di Jamie Morgan, fotografo londinese noto per aver cofondato il collettivo Buffalo e realizzato storiche copertine della rivista The Face. Ha firmato tre album di Joan Armatrading, ma tendenzialmente lavorava con gruppi commerciali come Culture Club, Soul II Soul e Simple Minds. Nella sua lista clienti si trovano New York Times, Times, Mercedes come anche Sole 24 Ore e Repubblica. The cover shot was made by Jamie Morgan, London photographer, cofounder of the Buffalo collective, well known for shooting several influential covers for The Face magazine. He was also the author of three record sleeves for Joan Armatrading but his expertise was at the service of more commercial ensembles such as Culture Club, Soul II Soul and Simple Minds. I Mink De Ville erano la creatura di Willie De Ville, rocker americano scomparso nell'agosto 2009. Generazione GBGB's, quindi garantita, ma in questo caso Willie ha giocato sporco e spacciato per propria "Italian Shoes" quando in realtà é "New Suits" dei Wild Magnolias (New Orleans) con il testo cambiato. Tra l'altro l'ha pure appesantita con un arrangiamento tipico degli anni '80 (batteria riverberata, fiati anemici e tastiere triviali). 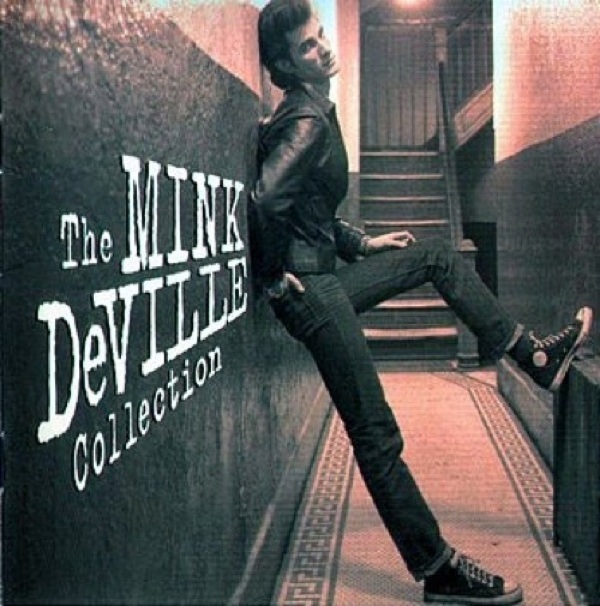 Mink Me Ville was Willie De Ville's first band. First GBGB's generation - good stuff - but here Willie played it dirty. 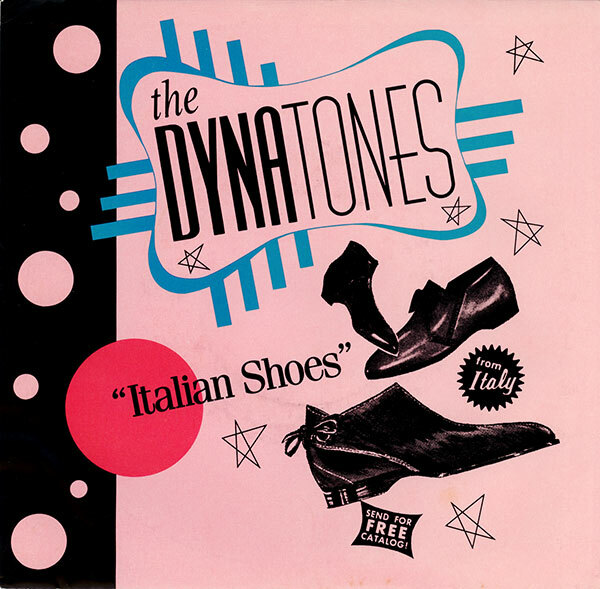 "Italian Shoes" is an uncredited cover of New Orleans' Wild Magnolias "New Suits" with changed lyrics. Also, it's a flawed version: dreadful '80s sound with delay drenched drums, bloodless brass section and cheesy keyboards. 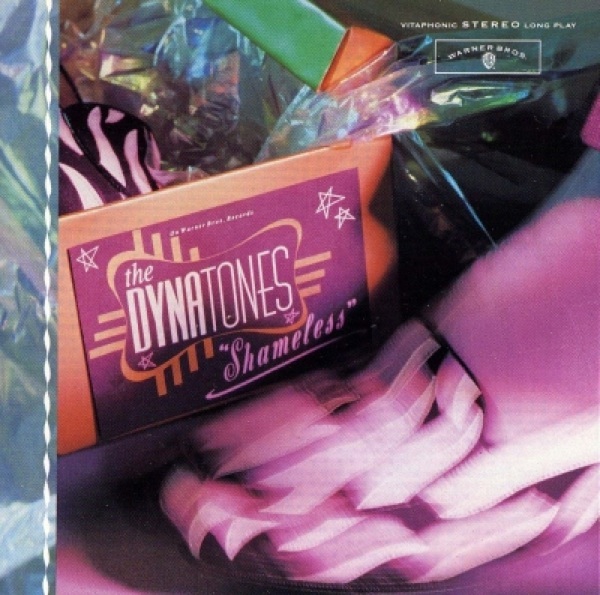 Tre anni dopo (1988) i Dynatones - gruppo white soul/rhythm & blues di San Francisco - hanno ripreso "Italian Shoes" - sempre attribuita a De Ville - come singolo tratto dall'album d'esordio "Shameless", oggi introvabile.La grafica é di Douglas Day, illustratore californiano, titolare dello studio D. Day Design; sua é la copertina di "South Of Heaven" (1994) degli Slayer. Three years later (1988) The Dynatones - a white soul/rhythm & blues band from San Francisco - reworked "Italian Shoes" - still credited to De Ville - as a single off the long time out of print debut album "Shameless". Cover design by Douglas Day, Californian illustrator, owner of the D. Day Design studio and author of Slayer's "South Of Heaven" cover drawing (1994). 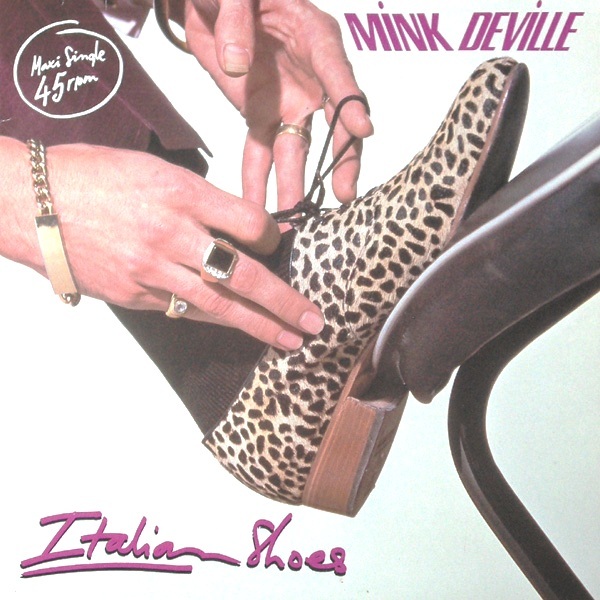 All Star a parte, la copertina di "Cadillac Walk" non é messa a caso: il disco raccoglie una selezione dai primi tre album dei Mink De Ville, il meglio che abbiano fatto. 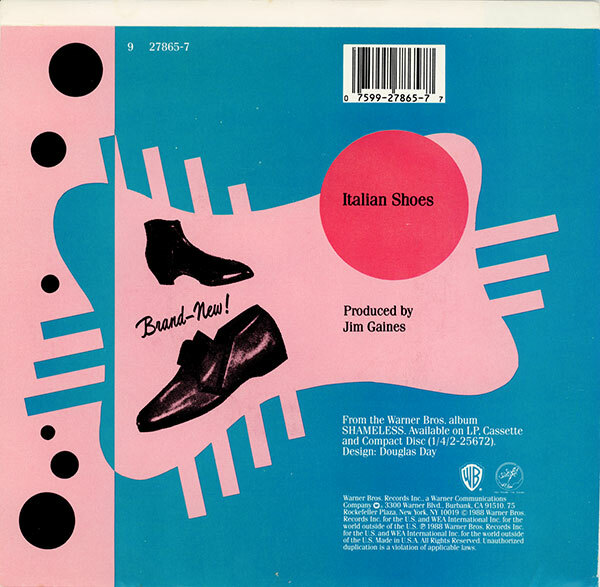 E quando avete finito, passate pure al repertorio solista, non ci sono "Italian Shoes". 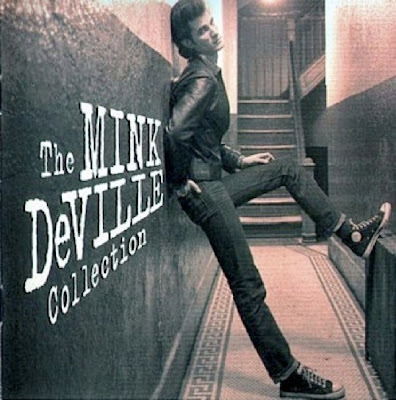 "Cadillac Walk" is here for a reason and not because De Ville wearing Chucks: it's a selection of the first three Mink De Ville albums, their best. When you're finished, explore the solo repertoire; you won't be disappointed, no "Italian Shoes" on sight.